The Armed Services YMCA and the Department of Defense (DoD) are announcing the continuation of the DOD Military Outreach Initiative. This joint effort provides eligible DoD service members and their families access to local YMCAs and to certain local private fitness centers around the country.This initiative is designed to provide eligible military families and active duty personnel with access to youth development, family strengthening, and health and well-being programs through memberships at community Ys or access to select private fitness facilities nationwide. 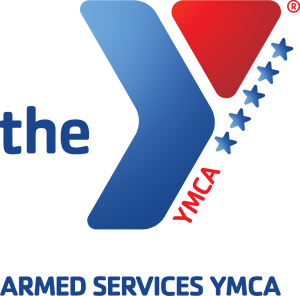 Membership fees are underwritten by the DoD and the program is overseen by the Armed Services YMCA. The Armed Services YMCA-DoD Military Outreach Initiative responds to a provision in the National Defense Authorization Act of 2008 which requires the Secretary of Defense to develop a plan to support military family readiness and to ensure that military family readiness programs and activities are available to all military families, including those of the National Guard and Military Reservists meeting specific DoD requirements. Service members can visit www.asymca.org/dod-moi for more information and to see if they meet the eligibility requirements for a free Y or private fitness membership. The Armed Services YMCA is a registered 501(c)3 nonprofit that serves active duty military members and their families. In 2017, we registered more than 250,000 participants and delivered more than 1.3 million points of services to junior enlisted Soldiers, Marines, Sailors, Airmen, Coast Guardsmen and family members at 200 service centers in 18 states. Whether providing respite child care for parents in need, summer camps for kids, or assisting with emergency needs, the Armed Services YMCA is a nonprofit with a mission: Strengthening Our Military Family. Visit our website to see how you can join us in supporting military families.